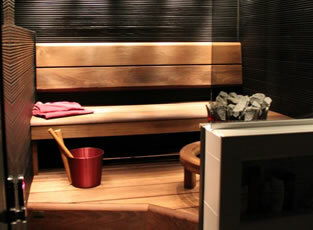 Calere Sauna bench modules suits as well to consumers as well to professional saunas. You may choose your own material from aspen, thermo treated aspen, cedar and radiata pine. All bench modules are prefabricated and individual. You may choose your width for bench material from 88 mm up to 185 mm depending on bench material. Please find below some examples which may suit you. If you don´t find any examples of yours, please send your drawing sketch to myynti@sisustalasilla.fi and we make you suggestion with drawing and price. All Sauna Benches are manufactured in Finland. You may order Made in Finland Sauna product from us.